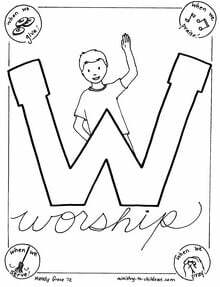 Our readers decided that Worship would be the best theme for the letter W. This illustration shows a young boy with hand lifted to praise God. 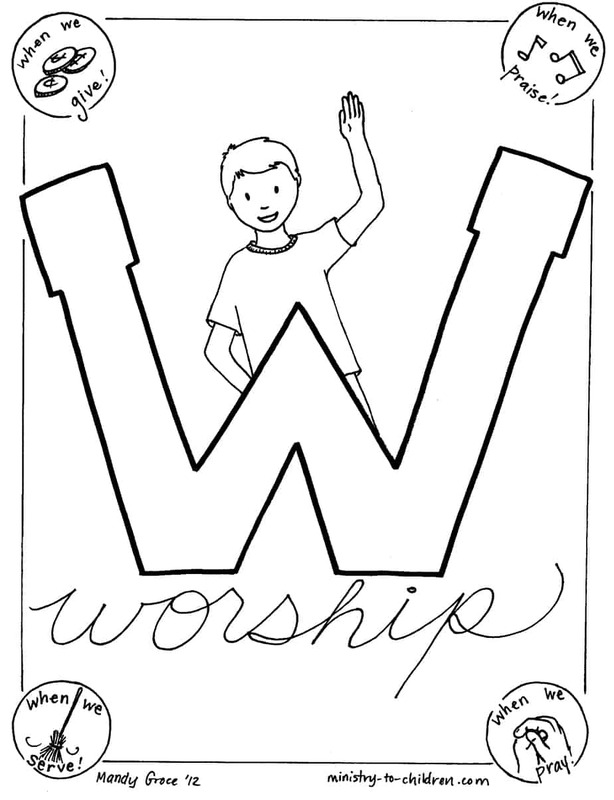 In each corner of the page you will see teaching points about worship. They explain how we can worship God through giving, serving, praising and praying. To download, simply click on the preview image to the right for a print-friendly PDF document. We’ve also uploaded a higher resolution JPG image. This is handy to edit using Photo Shop software. This is only one part of Mandy’s coloring sheet series of Bible Alphabet pages. Please leave a comment below to express your appreciation or share how you will use this free printable in your ministry.